I remember this scene really well: It's pre-9/11 and I wore khaki overall shots and a plaid tank top - an outfit my mother found in a department store that made me feel cool. My pal Megan was trying to roast me and Brittany in the back seat of her mother's SUV on the way to American Adventures in Marietta. Just three girls from the 'burbs spending the whole day at an amusement park designed for kids. We went on every ride, even the Ridgeline Racer which scared me half to death. It looked like an angry bison and I still don't like roller coasters. Megan's mother tagged along and bought us snacks and game tickets. We were there from open to close. We repeated this ritual at least 20 times that summer between 4th and 5th grade. I wore a lot of overall shorts and we all had backpack purses because they were trendy AND functional, holding our prize loot from the arcade, crinkled dollar bills and strawberry roller-ball lip gloss. 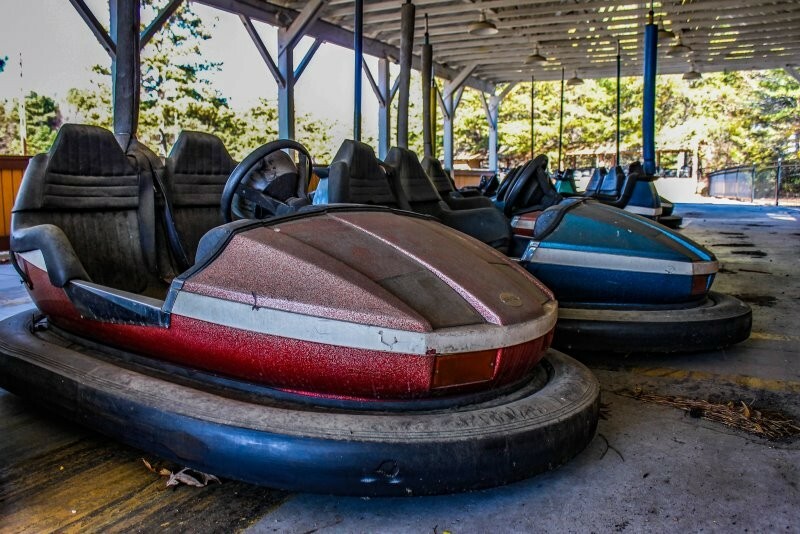 As an adult, I have revisited this amusement park often in my mind, especially since it closed in 2010. It sat abandoned - yes! all the rides! abandoned! - until 2017 when the park was finally dismantled. 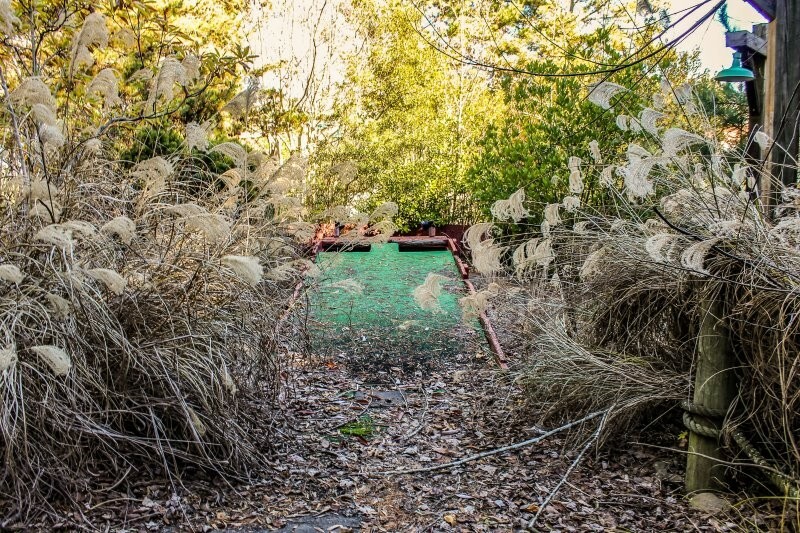 I dreamed of having the courage to return to my childhood theme park as nature took over. It opened in 1990 and became sort of a supplement to Six Flags White Water, which was right next door. It was really designed with kids under 12 in mind, as it had free admission and pay to play games and a snack bar. You could bring a gaggle of children to have fun all day and it wasn't too costly, at least not for us traveling from the suburbs. 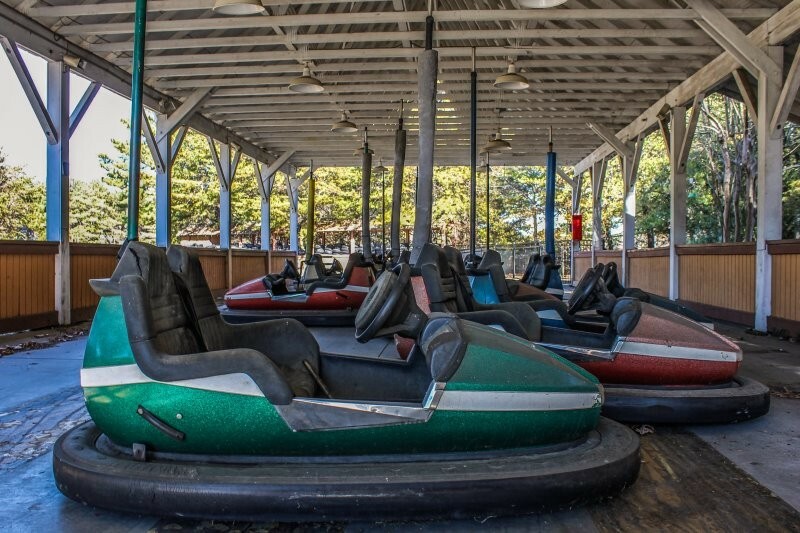 It had age-appropriate rides, including the roller coaster that scared me, multiple driver rides like bumper cars and trucks, and an indoor playground called "The Foam Factory" for running and jumping around. 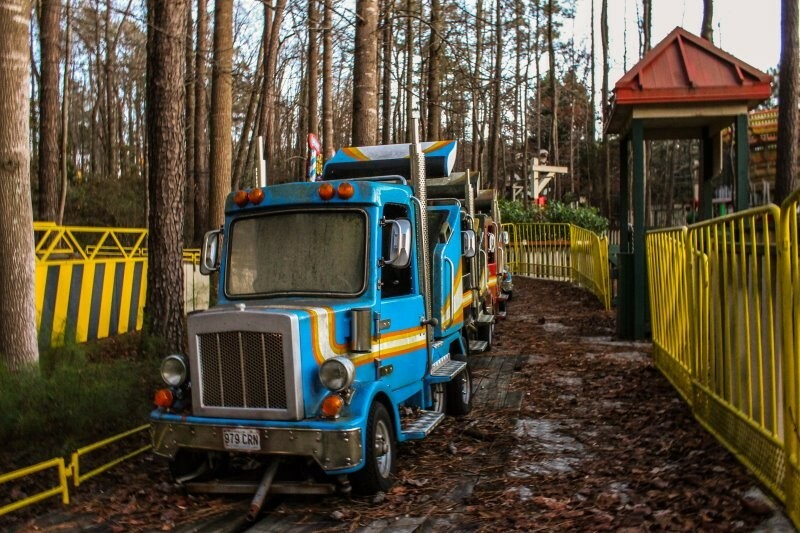 It also had mini-golf, the Super Slide, The Scrambler (which is now in a new home) and my favorite, the swing ride. The park was purchased by Six Flags in 1999 but was too small to be rebranded. It then was sold to Zuma Holdings in 2008, who closed the park in 2010 due to "circumstances beyond their control." That was a hard time in the American economy so let's be honest and call it money problems. I think American Adventures was just another another victim of the Recession... paired with 9/11, the two traumas in American history turned in to my generation's personal monster, beginning its wave of evil by taking our childhood fun and eating it with its big, hollow mouth. Maybe it's no surprise I recreationally obsess over the fun times from my childhood instead of the scary parts. But now, I've missed my chance. You know, I've missed plenty of other chances. One miss actually inspired this blog: the folk art of R.A. Miller. Just like with my theme park, I look back on the man behind the art work and research it. I watch documentaries about Mr. Miller and Windy Hill on YouTube and I recognize his work in antique shops... and lament over their price tags. I search for old photos and pour myself in every detail. But Windy Hill is gone and so is Mr. Miller, and I missed them both by just a few years. 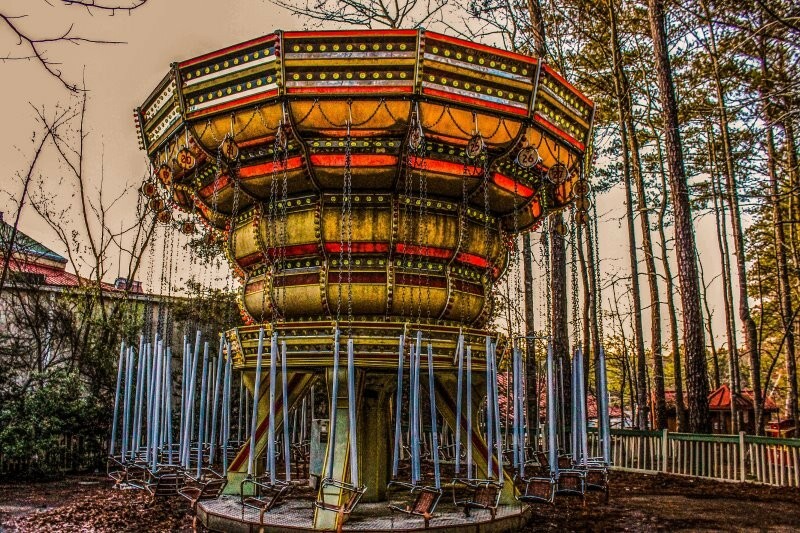 American Adventures has run its course, and after years of knowing it was abandoned, I missed the oppurtunity to brave the park as it died. My mother has always told me the spirit or intent of people and things is what matters the most. Even though those people or things aren't physically here, they really are still with us. So, I put "Lord Love You" in my pocket for rainy days, and with it is the memory of feeling like a normal kid at a lively amusement park with my friends, just before the giant monster emerged, hungry for my generation. Special thank you to the very brave Leland Kent with Abandoned Southeast for letting me use his photos. 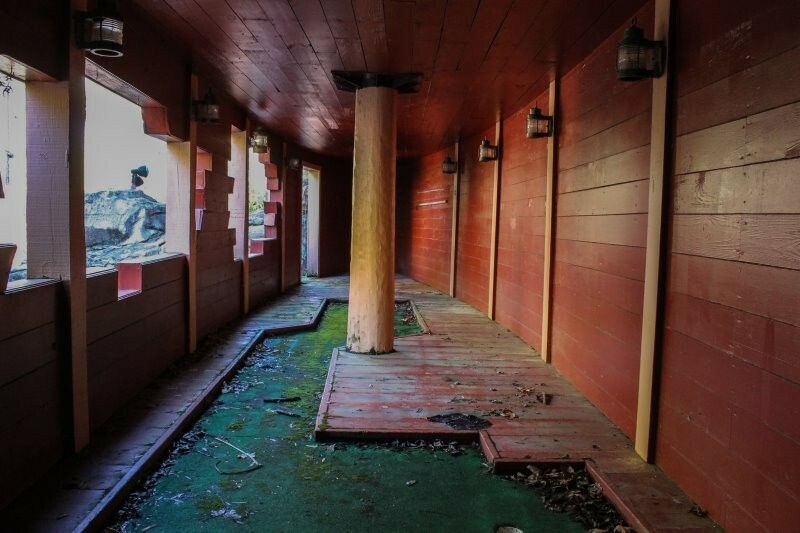 He told me each time he visited the abandoned park he ran in to bad luck. Luckily nothing too nefarious but definitely spooky. Check out his site here.